How do you build a budget that enables you to get out of debt? It can seem impossible. But as the ancient Chinese proverb states, “The journey of a thousand miles begins with a single step.” Your journey to debt-free life begins with simple steps that add up to significant results. There are several steps you need to keep in mind, and the first is to make yourself a space to tackle your debt. It may sound simple, but having a regular workspace to go to when you need to figure out your budget can help you focus and stay disciplined. This should be simple enough for those with salaried jobs, but what if you work part-time, hourly, or at multiple jobs? Your pay may vary week-to-week. If so, organize your paychecks over a longer period of time. Figure out what's representative of what you make - and be realistic. There's no use denying realty to make yourself feel better. Be completely honest at this stage and it'll be better for you in the long-run. The key at this stage is to organize yourself. You'll also need to start keeping all your paycheck records in one place. Figure out your income with taxes subtracted. This is the money with which you can work. Next, figure out regular payments – for your home or apartment, car, health insurance, debt repayments, etc. Deduct these from your monthly pay. The goal here is to create a realistic picture of exactly the income you're making every week, month, and year. An ideal model. This assumes everything goes as you expect..
An emergency model. This factors in the possibility of weeks where your hours are cut or that you are unable to work. Hopefully, you won't have to fall back on this more pessimistic model, but if you do, you're prepared. How much do you have left for groceries and gas money? What's left over for an emergency fund? Can you put anything into savings? Again, be realistic here. Once you've figured out your plan, set goals – what do you want your budget to look like in a month, six months, a year? Set achievable goals (e.g. have $X in your savings, contribute 2% to your retirement fund). Save receipts, write down costs, and either use a paper ledger or a spreadsheet (OpenOffice has a free spreadsheet tool) to record expenses. Instead of going to a movie for $10 or more, rent a movie from RedBox for $1. Rather than paying for cable or satellite that can cost upwards of $100 a month, opt for a streaming service for 1/10th the price. If you're going to a theme park that will cost $50 per person, consider going to the beach or hiking in a state park for free. Skip the food truck or cafeteria at work and make a few days' lunches ahead of time at home. Being frugal doesn't mean your lifestyle has to change dramatically – you're still watching movies and TV, you're still spending a day out with friends or family, and you're still enjoying lunch every day. Being frugal doesn't mean cutting every luxury out entirely; it just means you need to make wise choices so the things you enjoy cost less. Revisit your budget regularly. As you keep a budget over weeks and then months, you'll be able to make adjustments for what happens on the fly. Maybe it's a good week where you get extra overtime, or maybe it's a bad week where your hours are cut. Don't hide from your budget either way; record it all so that you can spend or scrimp wisely. Best of all, revisiting your budget regularly will help you learn your own tips and tricks, and you'll notice and police your own habits better. A 50/30/20 budget is a wise way to go. After taxes, consider 50-percent of your budget going to essentials – groceries, housing, utilities, insurance, transport, childcare, and loan payments. Then, 30-percent can go to wants – a meal out, a deposit in your vacation fund, a new outfit, etc. The final 20-percent is dedicated savings and debt repayments. Of course, it's not one-size-fits-all. Some may find they only pay 40-percent of their incomem to needs. In this case, direct more toward savings and debt repayment. Some may find they pay 70-percent or higher on basic needs. This, unfortunately, means cutting into those wants. Remember, it’s a short-term sacrfice that yields great results in the long-run. 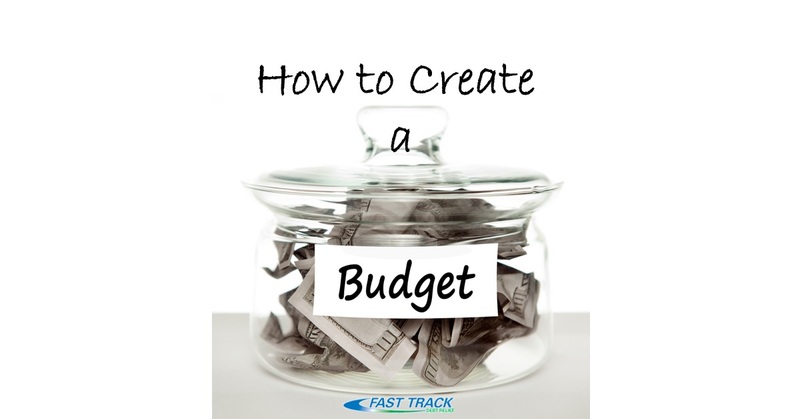 It’s incredibly easy to make a great budget – that just doesn’t work for you. You may follow it for a week, and then forget about for months. A budget only works if you stick to it until you get out of debt - and beyond. If you need help, Fast Track Debt Relief has a series of debt relief programs. Each is tailored to individuals because everyone has different circumstances, needs, and goals. Our debt relief programs are geared toward helping people get out of debt over time and to nurture situations where paying for a home, a car, having good credit scores – all of it is accessible to you again. Call us and ask us about our debt relief programs and how we might help you.